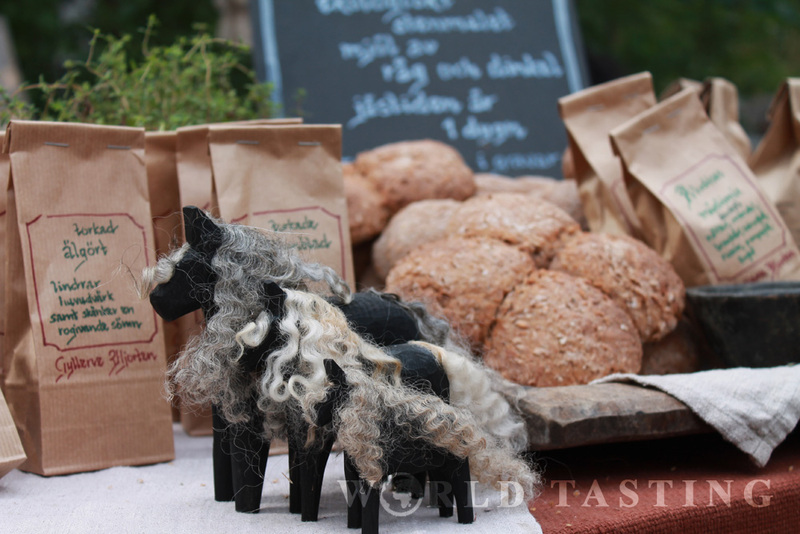 A walk around Birka, Stockholm, including a boat, a history lesson and some bread baking. 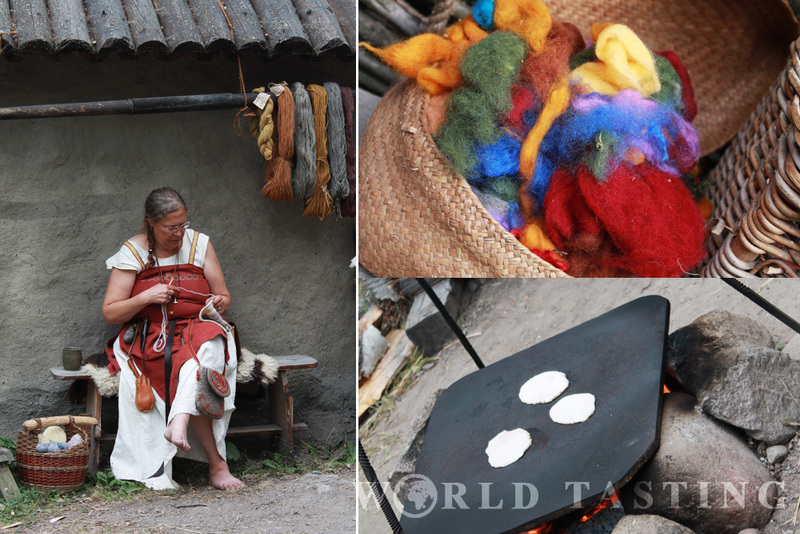 Birka, known to have been the home to the earliest Viking establishment on the territory of Sweden (around year 790), is one of the eleven UNESCO heritage sites spread across Sweden. 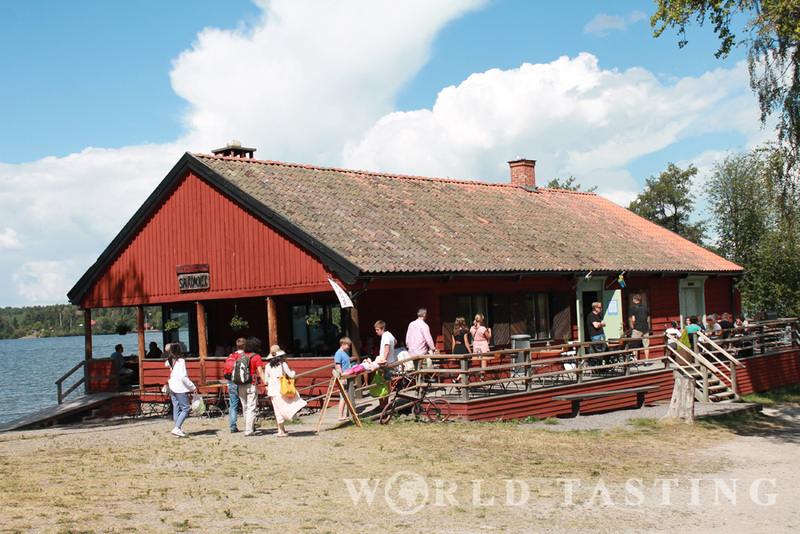 It is situated in the middle of the Mälaren lake, approximately two hours west of Stockholm by boat. Boats departure daily at the marina close to the City Hall during the summer season, and tickets can be either pre-purchased, or bought in place. We had our tickets pre-booked earlier in the week, so we skipped the long queue waiting to enter the boat, and jumped right in from the “fast lane”. Just in time to hear a short welcome announcement, then the engines roared. The journey towards the island of the vikings was about to begin. We relaxed for an hour, and then headed directly towards the museum where we were about to meet our guide. 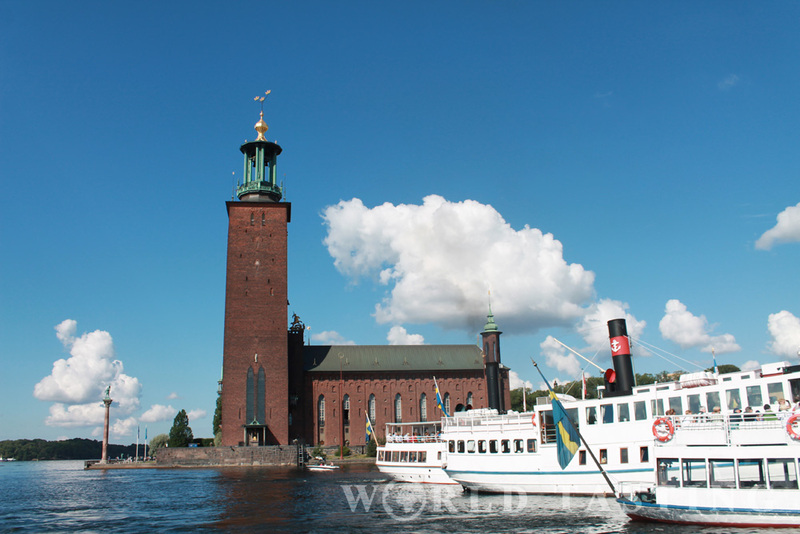 (Guided tours are included in the price of the boat tickets, as well as free entry to the museum!) 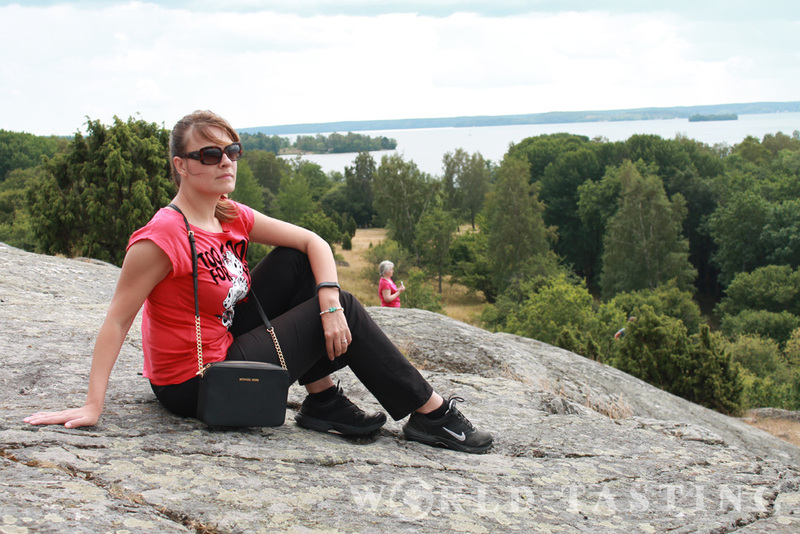 A pleasant and extremely knowledgeable lady took us through the places where the old town of Birka was located, and told us enthralling stories about the life of viking men. Viking was a prestigious title; every boy wanted to be a viking but very few were becoming such. Vikings were vain. They were into personal hygiene (and nail pickers seem to have been their favorite instruments). Oh, they were also into make-up, and a good eye-liner was a must. Vikings were buried with their favorite belongings and animals they were expected to make use of in the afterlife. 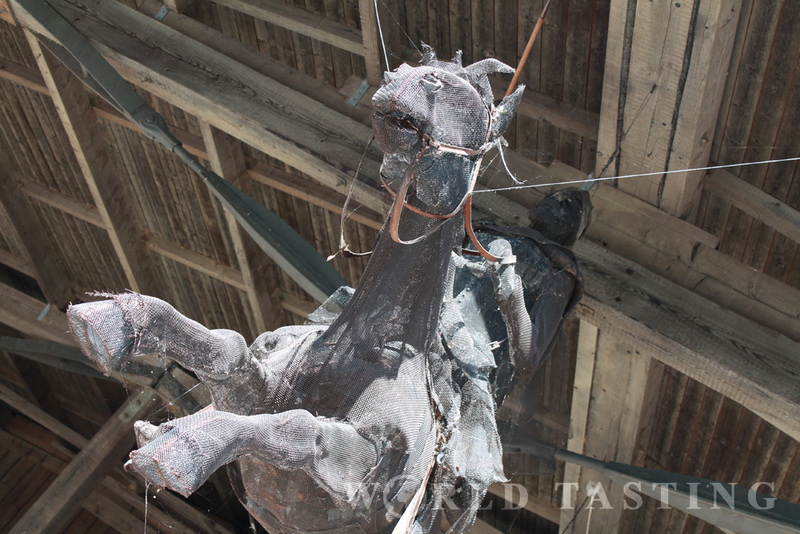 The most extraordinary animal ever found in a viking grave was … a crane! 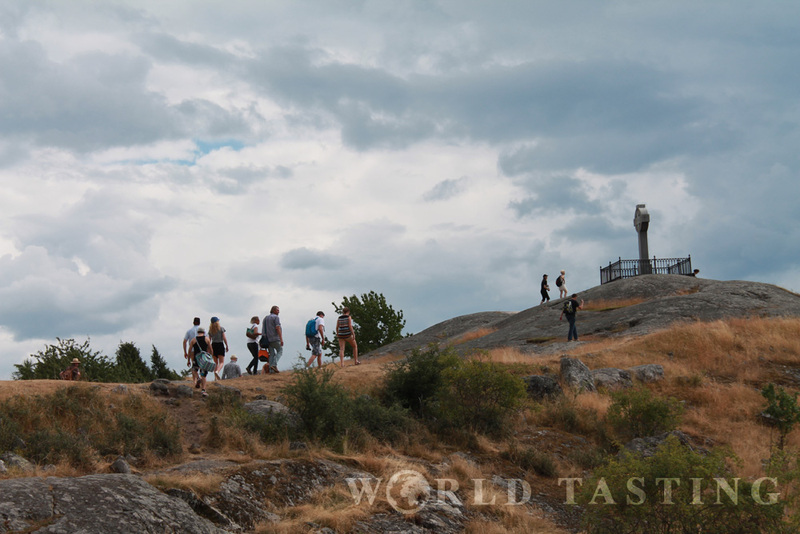 Those, and other curious facts about the viking era are hidden in a total of 3500 graves in Birka, out of which 1100 have already been opened for exploration from archaeologists. 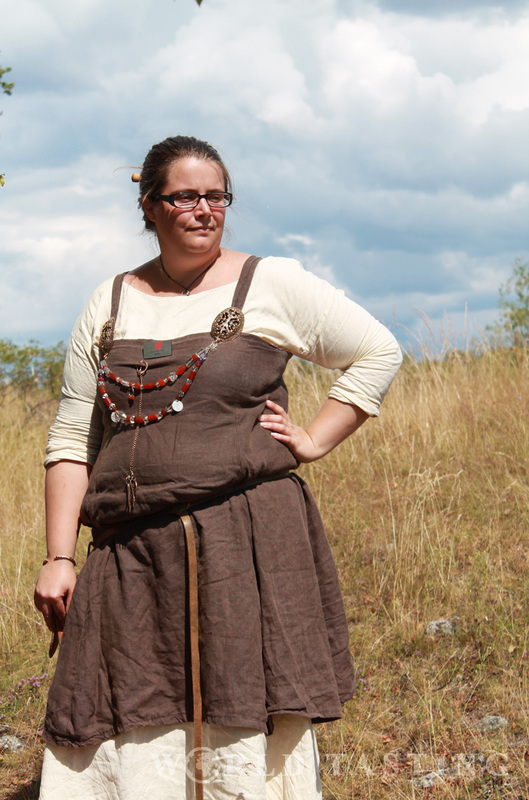 An hour passed in captivating facts about the life of vikings, kings and battle strategies up until the time when Birka was abandoned in 970. If you have been following my Medieval adventures in Sigtuna, you may recall that this is the year when Sigtuna was founded. And it is not a coincidence. 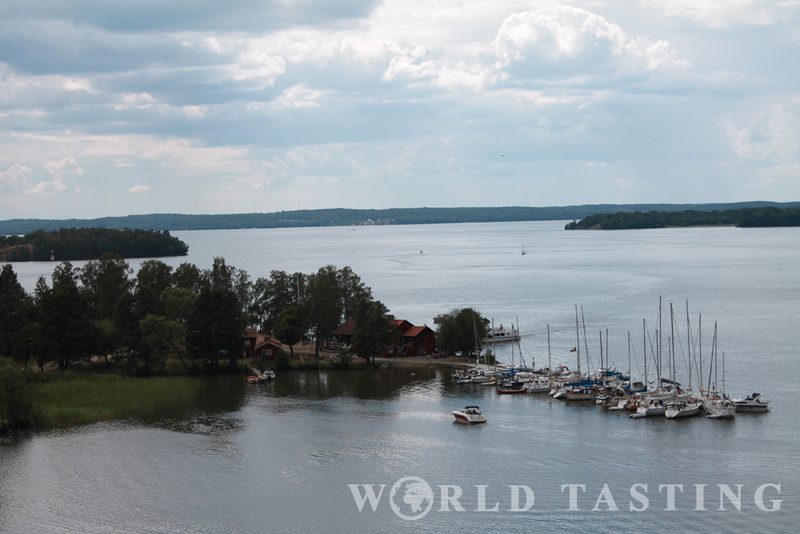 It is believed that the Birka people moved north to Sigtuna because the trading routes changes around that time. It seems that it actually is “all about the money, money, money”. Not a Viking monument per se, the cross was actually erected much later, to commemorate the monk who came to Birka to popularize Christianity. And although the monument is spectacular, the views are even more so. 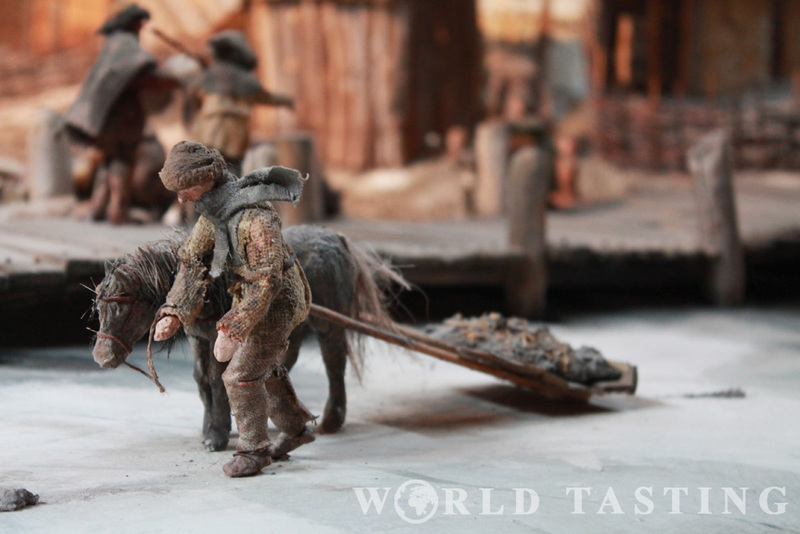 We had two more hours before our boat leaves, so we rushed into the museum where we were presented with miniature reproductions of the life on Birka. 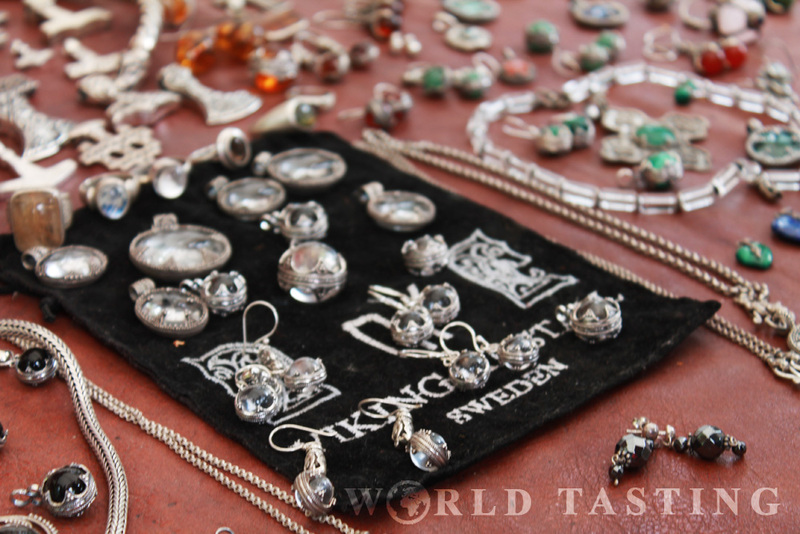 We checked the local producers of Viking-like jewelry. 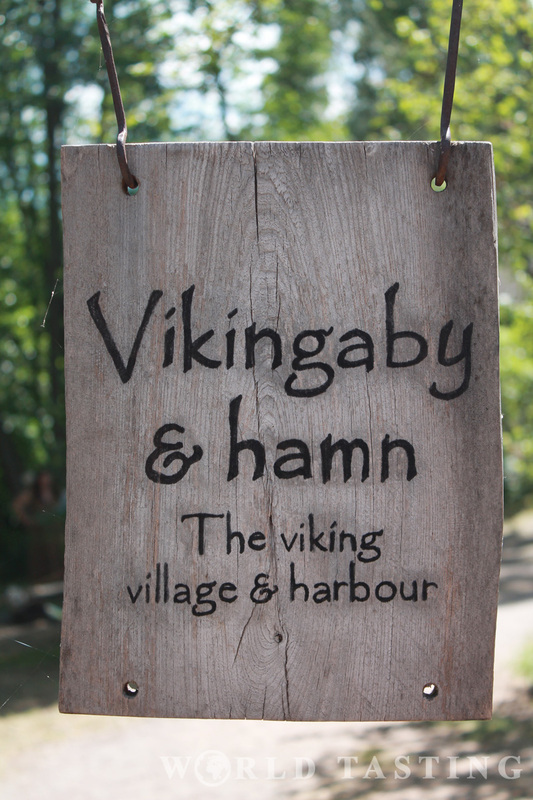 And we finally ended up exploring the Viking village where we got to know the activities of people during the 8th century. Like knitting. 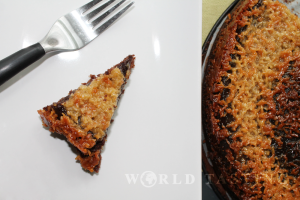 Or bread baking. There was also some archery in the mix, a mandolin and a blacksmith (very similar to this guy). There you have them, four very eventful hours in Birka. And just like Vikings who have won the battle, we entered the boat tired but happy.